Product prices and availability are accurate as of 2019-04-13 15:32:53 EDT and are subject to change. Any price and availability information displayed on http://www.amazon.com/ at the time of purchase will apply to the purchase of this product. 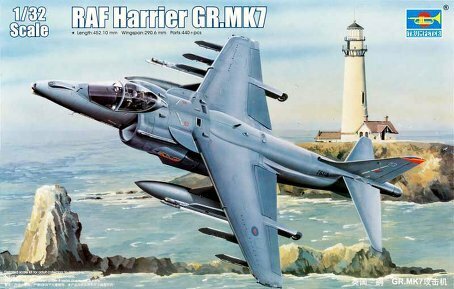 The Harrier II is an extensively modified version of the first generation Harrier GR1/GR3 series which first flew in December 1967. The original aluminium alloy fuselage was replaced by a fuselage which makes extensive use of composites, providing significant weight reduction and increased payload or range. An all-new one-piece wing provides around 14 per cent more area and increased thickness. 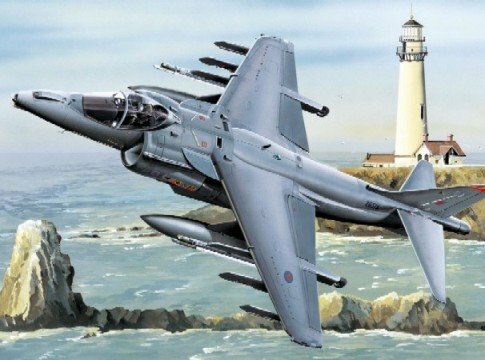 The UK's version of the Harrier II uses different avionic systems, an additional missile pylon in front of each wing landing gear, and strengthened leading edges of the wings to meet higher bird strike requirements.The GR7 had its maiden flight in May 1990 and made its first operational deployment in August 1995 over the former Yugoslavia. 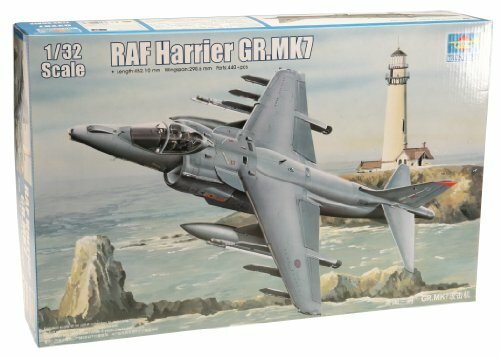 While the GR7 deployed on Invincible class aircraft carriers during testing as early as June 1994, the first operational deployments at sea began in 1997. 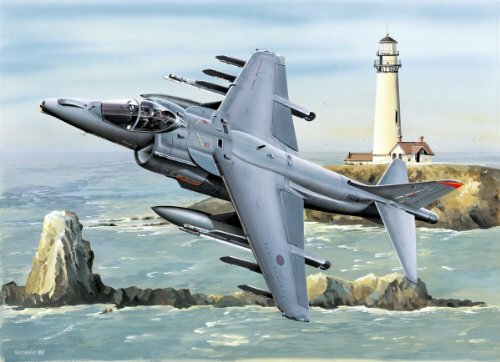 This arrangement was formalized with the Joint Force Harrier, operating with the Royal Navy's Sea Harrier.